It is the age of the bezel-less smartphone! One by one, manufacturers are introducing “all-screen” flagships with a tiny frame all around and… only slight imperfections. There are still some challenges in the way — like where will the selfie camera sit, or where do we put the speaker and earpiece? Google went full-on defiant with the Pixel 3 and Pixel 3 XL and chose to have phones that feature a bit of a “chin” and “forehead” but gave its customers full-fledged, front-firing stereo speakers. Presumably, this makes for a better, more immersive viewing or gaming experience. Manufacturers that choose to do away with their phones’ bottom bezel stick to a different scenario — the bottom-firing speaker is treated as a “woofer”, with pronounced bass and mids, while the earpiece is more of a tweeter, with the thinner details coming out. When holding such a phone, a slight imbalance in audio can be perceived. In your day-to-day use, which of these do you feel is more important to you? Proper, balanced stereo, or all-around thin bezels for a more compact, futuristic-looking handset? Would you rather have front-firing stereo speakers or sacrifice them for no "chin" and "forehead" on your phone? I like my stereo speakers on the front, where they belong! Move the speakers, I want all-around thin bezels! I like my stereo speakers on the front, where they belong! Move the speakers, I want all-around thin bezels! That's just it tiny speaker slots that take up very little bezel is okay in my books, I prefer it over a bite mark (notch) in my phone. As much as I miss the HTC one M7 M8 and M9 days, I kinda like the newer trend of less bezels on phones. For my use, I have my phone inside a thick case 24/7, so I really didn't have that much issues with gripping the device. And it's better for content consumption IMO. But when it is time to just kick back and relax while binge watching youtube or netflix, I kinda miss my old M8 :( that phone had some amazing front firing speakers. Rarely would I listen to my phone without headphones (wired or wireless). I'll take the screen real estate. Slim front Speakers and slim bezel. Speakers Along with my Camera and NO notch. There is no need to reinvent the wheel once again. Best solution is slim bezels (for all the sensors and cameras) and loud front stereo speakers. And a headphone jack at the bottom. Bezels serve a purpose, going too slim is a bad thing. I rarely use speakers and I'd still take them all day every day. No vote for either option! I like the Mate 20 X which has stereo speaker on both top and bottom. The Mate 20X proved that you don't need front facing speakers to deliver excellent surround sound. It has one of the best, if not the best speakers on the market, and they both sit on the trim. I'd rather they use the space for extra battery, to be honest. People here are hypocrites because they complain about the bezels on Sony phones but here they vote for front facing speakers over bezeless designs. Poor assumption by you, thinking they're the same people. And you don't have to love small bezels to think that Sony's are *too* big. Sony's bezels never bothered me, but the logic doesn't automatically fail any tests. Thats because Sonys bezels were huge. But at least they are getting thinner. 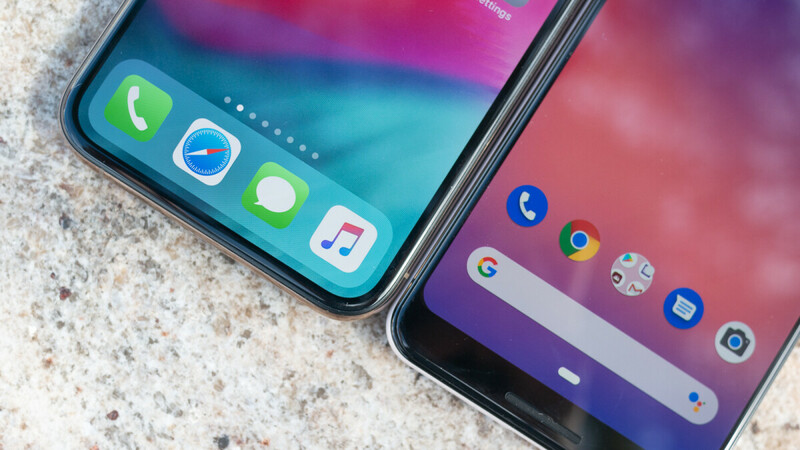 I hate the fact of no bezels and would lot rather have thin bezels. Small bezels and 3.5 mm jack are the best for me. I prefer having front facing stereo speakers. Now that we're seeing leaks about sound on display with smartphones, I hope to see the top "real" speaker still here an on-display bottom one. If oems can put thin earpiece slits on top of some thin bezels, they should be able do the same for the bottom. It takes some internal reshuffling but some xperia devices have shown this already. So u could do both thin bezels and front firing speakers slit. I'm certainly not an engineer but you would think that slightly notching the glass to allow for a speaker grille without significantly impacting screen to body ratio would be possible. If not that, could OEM's put the speaker holes in those chamfered edges of the frame facing the user? The speaker doesn't have to move necessarily, just the exit point of the sound. I would want the slimmer bezels. I never use my phone on speaker phone or play music using the phone as the speaker. I have a Google Home, BT speaker to use, or my wireless headphones. My ringer has not even been turned on in a few years, it is always on vibrate. I like holding the top & bottom of my phone while I play/watch. I hate that I now have to cup the bottom of my phone so that the sound isn't muffled. I miss the front speakers of my Moto X.
I prefer slim bezels. If i want to play music, i use headset or earphone. My iPhone 6s plus single speaker produces better sound than my galaxy note 9 with dual stereo speakers.